We get a lot of calls from companies looking for video production vendors, and we’re always happy to accommodate them, but thinking about your video production company as a “video vendor” is a good way to miss out on a lot of potential value in your production. That’s not to say you need to have your video production partners on a retainer, or invest in a 10 part series from the get go, but approaching your project with the right mindset can make a huge difference in the final outcome. Producing an effective video is a big project. Treating your production company like a typical vendor is a little bit like hiring a day laborer to design and build an extension to your house. Vendors may focus on your project, but partners will focus on your business. The big difference between thinking of your video production company as a “vendor” as opposed to a partner, is that vendors will focus on your project, whereas partners will focus on your business. A good production company will take the time to learn your business inside and out if you give them a chance. By the same token, your production company knows how to get the most out of video, and may offer you insights you hadn’t considered! If you don’t invest any time talking to (and listening to) your production company, your video is probably going to be tone deaf when it comes to your video marketing strategy, your business needs, and most importantly, your audience! That may be true, but today’s audience consumes a lot of video, and expects quality. Even YouTube bloggers are stepping up their game when it comes to production quality. If your video doesn’t look as good as amateur YouTube content…well, that’s not going to inspire a lot of confidence in your audience. Even the most basic production requires a lot of planning, craftsmanship, and attention to detail. If you shop for a video production company the same way you’d shop for a printer ink, be prepared to get a video that doesn’t have the professional polish you need to be taken seriously. There are definitely videographers and other video vendors out there who offer bargain basement prices. The reason they can do that: they operate on volume. They aren’t trying to accomplish an objective, or move people to action – they’re trying to shoot, deliver, and collect a check as quickly as possible so that they can move on to the next job. That approach is fine for wedding videos where every project has the same goals, the same mood, and the same set-up, but it’s a horrible way to approach corporate communications. 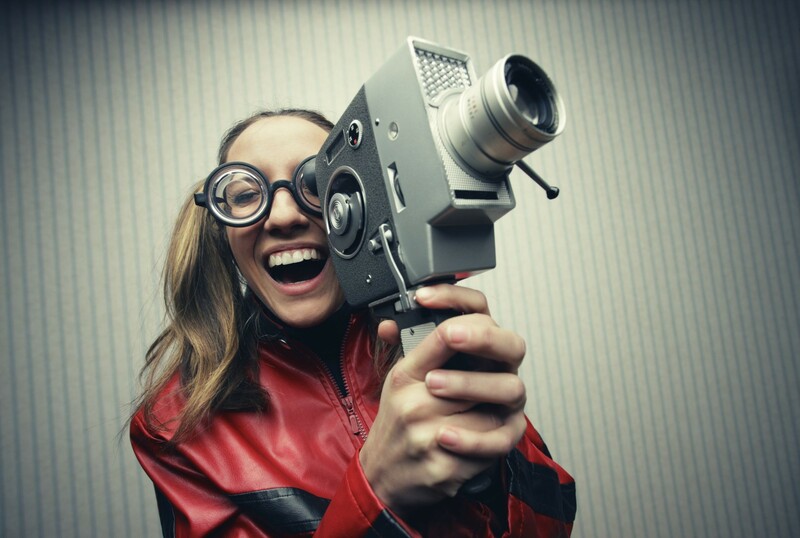 A great video production partner looks beyond the current project. Could footage from your project fill another role, like enhancing your content marketing strategy? Is there an opportunity to shoot something else for another project at the same time – saving you time and money? How does this video fit in with ancillary marketing materials, or existing ad campaigns? You know what your needs are, your video production partner should have some ideas of how to fill them. You’re working with a team of people who make videos all day, every day. Why not give them a chance to use that expertise! Your production company knows what makes a video stand out, and has a tips and tricks that will make any video better. If you give your production company a chance to show you what they can do, they may come back with something you never expected. If you don’t like their approach, you can always go back to basics.